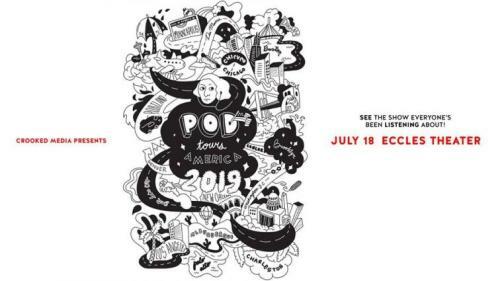 Pod Save America is hitting the road again to have live, no-nonsense conversations about politics, the press, and the nightmare that is the Trump presidency. 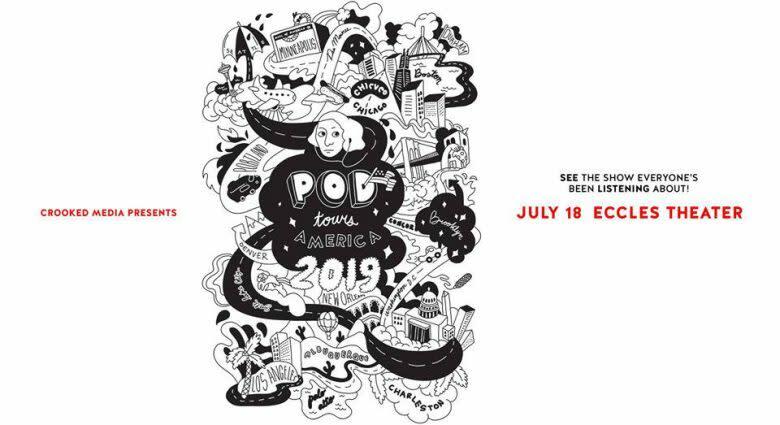 The tour is called Pod Tours America because they think that’s clever.Pod Save America, co-hosted by Jon Favreau, Jon Lovett, Dan Pfeiffer and Tommy Vietor has been downloaded more than 370M times, and was dubbed “the voice in blue America’s head” by New York Times Magazine.Previous Pod Save America guests include: President Barack Obama, Senator Hillary Clinton, late-night hosts Jimmy Kimmel and Seth Meyers, grassroots activists, leading journalists, singer John Legend, Golden Warriors Coach Steve Kerr, Democratic Leaders Chuck Schumer and Nancy Pelosi, Sen. Elizabeth Warren, Sen. Cory Booker, and many more. Leading up to the 2018 midterm elections, the podcast hosted four live Pod Save America specials on HBO.Favreau, Lovett, Pfeiffer and Vietor all served in key roles in the Obama White House. They have expertise in political campaigns (both winning and losing), political strategy, speechwriting and foreign policy. They are blunt about their disgust with the Trump administration, but are equally hard on the Democratic Party when it screws up. You’ll laugh. You might cry. And you’ll leave motivated to fight for our democracy.